Version v2.4.1 is a big one. 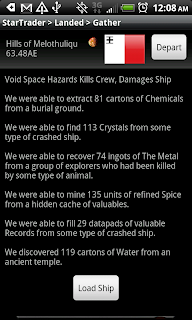 It marks the beginning of a concerted push on improving the UX of Star Traders 4X Empires. We've expanded and improved the game in many ways over the last year, but we are now just bumping into too many quality of life and UX issues as we continue to look forward. So, we're going to take a break from pushing forward, and clean house. So, v2.4.1 is the first bell ringing in the wind -- the time has come. 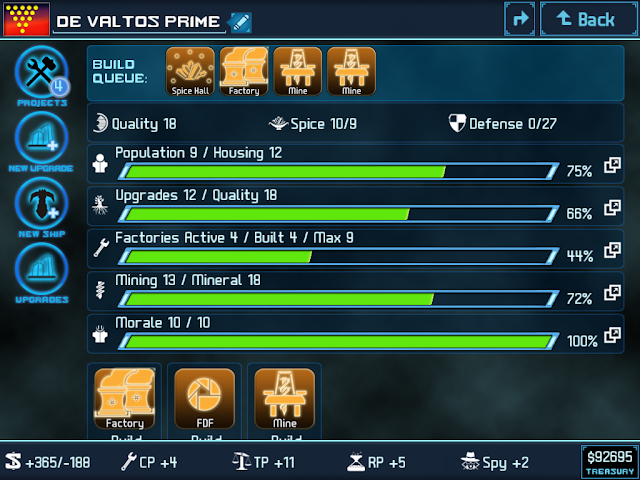 We've brought together an exciting bundle of the all of the quality of life features that have been requested for the Colony Detail screen and added them in a single big update. Now you have easy access to seeing what each colony is building, improved quick filters to access list of build options (around population, mining, factories) as well as an improved Quick Build list at the bottom of every colony screen. e're working on bringing together all of the quality life RFEs around the Colony List and pushing them into a big update. We've also got our eye on a set of important upgrades for the desktop. We'll be rolling in an advanced game options screen, options for music and SFX volume, and the ability to control resolution of the game in windowed mode.